The Basketball Spotlight Clash For The Cup gave us a look into the bright future of the players in this region. Here’s Part 1 of our top performers from the Clash. Nas Simmons Guard (NY Gauchos) – Simmons was getting buckets all weekend. Every time we looked he was finishing at the rim or hitting a jump shot. He always seemed to be out in front on the break receiving a pass from a teammate or he was pushing the ball finishing himself. Nas used multiple spin moves to finish in traffic. He definitely was playing fast and looked like he was having fun in the Gauchos fast paced style of play. He finished with 23 points in the championship and he seemed to live at the FT line making 8 of 10 free throws. Dwayne Pierce Forward (NY Gauchos) – Pierce is like Lebron James on the 6th grade level having the ability to drop a triple double every time he steps on the floor. He is a do it all point forward with size and strength that is a match up nightmare. Dwayne grabs the rebound and pushes the ball turning defense into offense so fast defenses don’t have time to react. A very unselfish player he always seems to make the right play. He finished with 9 and 11 points in the games we watched. Danny Carbuccia Forward (NY Gauchos) – Danny is a two way player that has a high motor. He prides himself on the defensive end of the floor and can guard multiple positions. Carbuccia is a very important piece in the Gauchos West Virginia style of play. Like Pierce he is a point forward that can grab the rebound and push the ball making plays either dishing or getting buckets. He has good length with long arms. He tallied 8 and 16 points in the two games we watched. 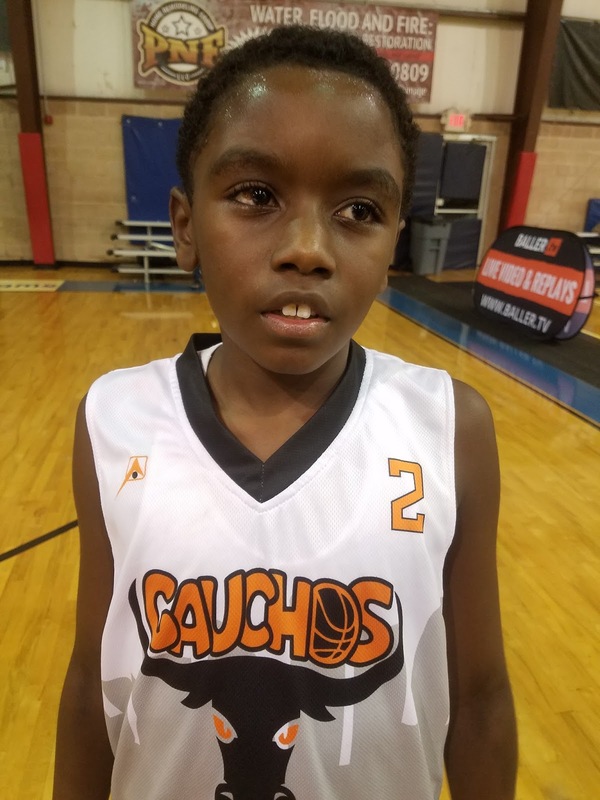 Aamyr Sullivan Guard (NY Gauchos) – Sullivan is a pint size scoring guard that can knock down the deep jumper from behind the line. He takes what the defense gives him making him very efficient with the scoring opportunities that he gets in the Gauchos up and down style of play. His specialty is knocking down the 3 pointer. 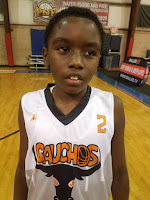 Johnuel Fland Guard (NY Gauchos) – Fland is the truest point guard on the Gauchos squad. He has a high IQ and can run the team in a half court set. He has a nice jump shot out to the 3 point line and also has crafty moves that allow him to navigate the defense off the dribble. He finished with 9 points in the championship game. Umar Sabree Guard (Fidonce) – Sabree is a combo guard that is wired to score. He has no problem letting the rock fly from distance. He is his squad’s best 3 point shooter and arguably the best pure scorer on the team. He is fearless attacking the basket but his bread and butter is his long range jumper. We love his passion for the game and his can’t lose attitude. This kid leaves everything on the floor. He was off in the championship game but he dropped 15 points including three 3 pointers in another game we watched. 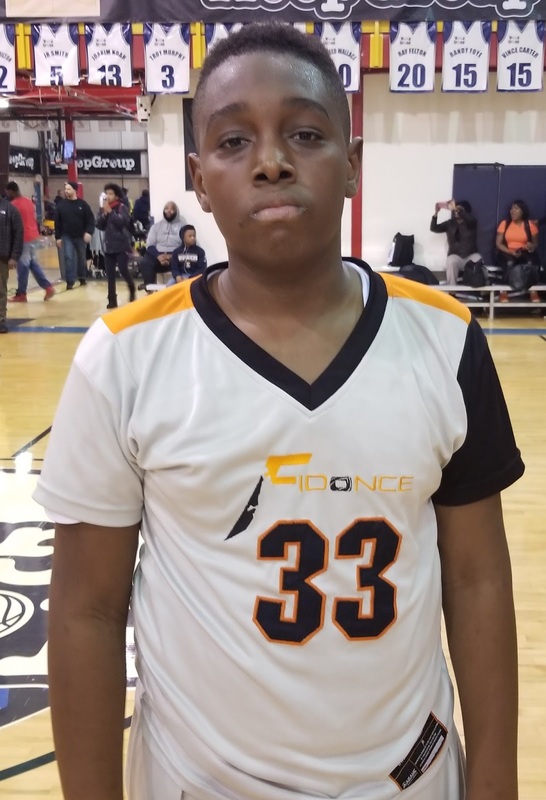 Anthony Finkley Forward (Fidonce) – Finkley is an aggressive forward that has good size and strength at the 6th grade level. He controls the paint for his Fidonce mob on both ends of the floor rebounding and blocking shots on the defensive end and scoring around the basket on the offensive end. Anthony can catch the ball and space and handle the ball well enough to bully his way to the basket either scoring or getting fouled to go to the FT line. He finished with 8 points in the championship converting on 6 of 12 free throws. 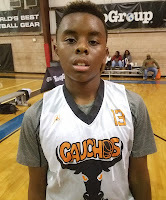 Khaafiq Myers Guard (Fidonce) – Myers is the PG that runs the show for his team. He likes to get into the teeth of the defense and attack the basket or kick out to an open shooter. He seems to always be in attack mode and he has a quick first step. He has that Philly toughness you like to see in your leader. He finished with 11 points in their championship loss. 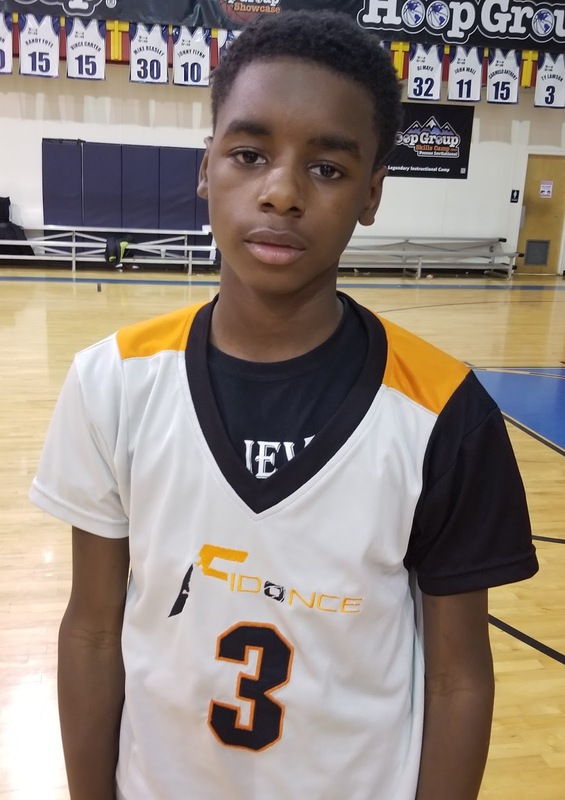 Jaliek Mattox Guard (Fidonce) – Mattox is a scoring guard with nice size. He can guard multiple perimeter positions. He is a slasher that attacks the basket in the half court or on the break. Jaliek is a versatile player that fits nicely into the Fidonce style of play. He finished with 9 points in their championship loss.